Rivka Amit, Director of the Geological Survey of Israel. Her main research field is Quaternary Geology with emphasize on pedology and soil stratigraphy. 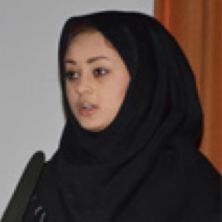 She studied and advanced three main fields: (1) Understanding long-term patterns of earthquakes occurrence in Mediterranean region; region; (2) Paleoclimate of the eastern Mediterranean specifically in the hyper-arid deserts; (3) Origin and sources of dust accumulation in desert terrains with emphasis on the loess issue. The studies in the field of paleoseismology led to the development of a method of using several pedofeatures of desert soils in analyzing faults occurring in non-consolidated alluvial colluvial sedimentary material. This method yield significant data which is used in seismic hazard assessment and management in eastern Mediterranean region. The paleoclimate studies using soil and paleosols properties, changed the understanding of the Negev desert climate and stress the importance of taking into account local physiographic properties including the location of the coast line and climatological conditions which can disconnect certain areas from global climatological trends. The studies on dust in desert terrain and on the process of dust and loess formation change totally the paradigm of loess formation and dust sources. 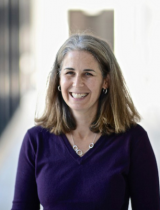 The scientific contribution of her studies to the earth science research community were recognized by giving Dr Rivka Amit the Farouk El Baz Award for desert research, by the Geological Society of America, a fellowship award of the Geological Society of America and the Freund Award, by the Geological Society of Israel. Allan Ashworth is a researcher and a teacher in paleoecology at North Dakota State University who specializes in insects and their response to climate change. He was educated at the University of Birmingham, UK, where he was a student of Quaternary researchers Russell Coope and Fred Shotton. He has worked on Quaternary projects in several countries. Currently, he is studying full-glacial insect assemblages from the Lake Region of Southern Chile and from the Olympic Peninsula, U.S.A.
Additionally, he works on Miocene-aged fossiliferous deposits in Antarctica where modern organisms evolved adaptations to cold earlier than they did in the northern hemisphere. He is also collaborating with a large group of scientists from around the world to develop the Neotoma Paleoecology Database. His research is featured in the film ‘Ice People’, the NOVA documentary ‘Secrets Beneath The Ice’ and in Science magazine. Fossil discoveries made in Antarctica are featured in articles in National Geographic and in the world press, and are recognized in the New Zealand Geographic Board citation for the Ashworth Glacier. He has previously served as the Chair of the USNC INQUA and as a Vice-President of INQUA from 2007-2011. 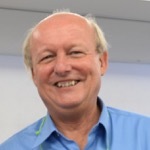 Franck A. Audemard M. is a geological engineer who has been an active researcher at the Earth Sciences Department of the Venezuelan Foundation for Seismological Research –FUNVISIS- since 1986, being the Head of that Dpt. between 1998 and 2010, after being the Head of its Neotectonics section from 1994. Simultaneously, he has been Professor at the School of Geology, Mines & Geophysics of Universidad Central de Venezuela (Caracas, Venezuela) of Structural Geology, Photogeology, Geomorphology or Geodynamics at the undergraduate level since 1995, and of Earthquake Geology, Fault & Faulting, Caribbean Seismotectonics or Advanced Geodynamics at the graduate level since 1999. He is currently the President of the Geological Society of Venezuela (Sociedad Venezolana de Geólogos –SVG-) since 2008, as well as Vice-President of the Venezuelan Association of Geomorphologists since 2008. 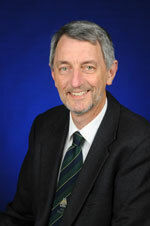 He served as Past Vice-President of the International Association of Geomorphologists –IAG- for the period 2005-2009. 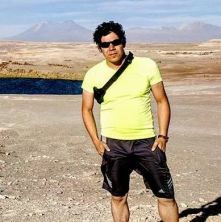 He is currently member of the Editorial boards of “Revista de la Facultad de Ingeniería UCV” (Venezuela), “Revista Geología Colombiana” (Colombia) and “Geología Norandina” (Colombia), as well as Regional Editor for Venezuela of the Journal of South American Easrth Sciences (Elsevier) since 2011. His current research interests include both onshore (since 1982) and offshore (more recently; from 2006) Earthquake Geology in a very broad sense, including active morphotectonics, seismotectonics, active tectonics, microtectonics, historical seismology, paleosesimology and earthquake-induced effects –sliding, tsunami and liquefaction primarily. He has mainly conducted research and teaching in Venezuela, but has also worked jointly with local colleagues in scientific (also academic) projects in Argentina, Colombia and Perú, but also in Sweden. Within INQUA, he is currently in his second term as a Vice President. He was coordinator of the project 0511 of the TEPRO Commission in 2006-2007. 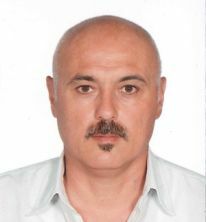 He served as co-coordinator of the Paleoseismicity Working Group (later upgraded to Sub-Commission) for two consecutive inter-congress periods (1995-1999 and 1999-2003), as well as full member of the freshly-reorganized Neotectonics and Paleoseismology Focus Group of the TERPRO Commission for the periods 2003-2007 and 2007-2011. 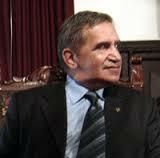 He has been an active proponent and participant of the INQUA Environmental Seismic Intensity scale IES-2007. 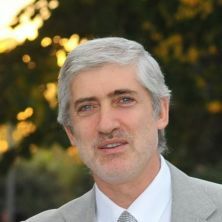 He has produced more than 50 project reports and some 180 extended papers, of which 62 in peer-reviewed papers in leading international journals (46 international and 16 national), as well as over 25 book chapters, has co-edited 6 volumes (for Tectonophysics, twice in Geomorphology, Geological Society of America, Proyecto Multinacional Andino and Revista Facultad de Ingeniería-UCV), and has published two nationwide compilations (Maps of Active Faults and Focal Mechanism Solutions) and 2 fieldtrip guidebooks on Quaternary and Active Tectonics. 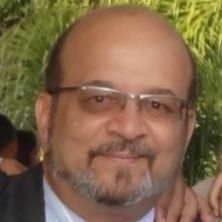 He has been the recipient of three awards for Best Geologic/Faculty member Publication of the Year (SVG 2001, Petrobras-UCV 2007 and APIU-UCV 2010), Best Researcher of FUNVISIS in 2002 in its first of two editions, and Order José María Vargas in second class (highest academic distinction deserved by Universidad Central de Venezuela –UCV-) in 2010. The same year, he was also awarded with the highest Venezuelan scientific distinction: The Honorific National Scientific Award by “Ministerio del Poder Popular para la Ciencia, Tecnología e Industrias Intermedias –Mppctii- de la República Bolivariana de Venezuela” (Venezuelan Ministry of Science & Technology). 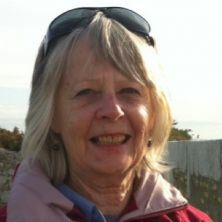 Margaret Avery is a palaeoecologist with an archaeological background whose long-time interest is exploring the multi-facetted information potential of micromammalian prey of barn owls. Arising from this has been the main thrust of her research, contributing to our knowledge of the environmental background to human biological and technological evolution. To this end she has worked on material from all of the important archaeological sites in South Africa as well as early hominid sites such as Sterkfontein and Swartkrans, and sites in Zambia. Another aspect has been applying information to global change studies and the assessment of human impact on the environment. Complementary studies of modern material, besides being important in their own right, help inform taphonomic analyses of fossil samples. 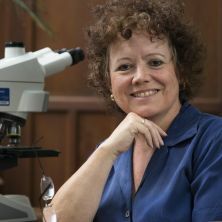 Margaret is a Fellow and Vice President of the Royal Society of South Africa, and a Past President of the Southern African Society for Quaternary Research. She serves on the ICSU South African National Board and ex officio on the South African National Committee for INQUA. She was also Secretary-General of the XV INQUA International Congress held in Durban in 1999. 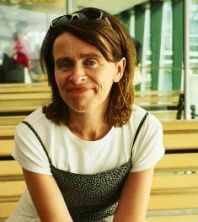 She has been Editor of the South African Archaeological Bulletin and Transactions of the Royal Society of South Africa. 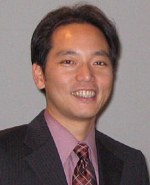 Takashi Azuma is a senior researcher of Geological Survey of Japan. He works for this institute since 1998, particularly focusing on paleoseismological surveys of active faults in Japan. He also co-works with civil engineers and seismic hazard analysts. 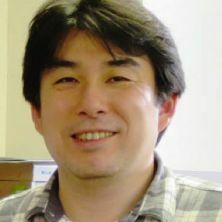 In the Japanese Quaternary Research Association, he has been a board member and was a secretary general for 2015 INQUA Congress in Nagoya, Japan. In 1997, he received the Quaternary Research Paper Award from this association. 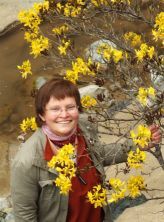 Marion's research comprises fossil woods of all ages; Mesozoic and Tertiary macro-plants, Gondwana biodiversity, biogeography, Karoo floras and biostratigraphy, Pleistocene to Holocene African floras and palaeoenvironments. I holded a doctoral degree in Sedimentary Geology from the Geosciences Institute, Universidade de São Paulo. I concentrate my research in carbonate sedimentation and micropaleontology, with an emphasis in carbonate microfossils, at the Geochemistry Department, Universidade Federal Fluminense (UFF). I have over 20 years’ experience in marine geology, mangroves, coral reefs and carbonate shelves. My research has involved upwelling geochemistry, paleoceanography of the South Atlantic using benthic and planktonic foraminifera. I have supervised Master and Doctoral thesis, research projects and fellowships. I am presently lecturing at the Environmental Geochemistry graduate program, one of the best in Brazil (CAPES level 6, with the maximum being 7). Catia has been teaching several disciplines related to Earth-Ocean Systems sciences and curating her foraminiferal collection. Catia has authored several technical and research papers dealing with benthic and planktonic foraminifera, sedimentation of coral reefs, mangroves, estuaries and Brazilian continental margin paleoceanography. Juan Carlos conducts research in several Latin-American countries (Colombia, Guatemala, Mexico and Venezuela), in different ecosystems including the tropical rain forest (TRF) of the Amazon Basin and Chocó province, the inter-montane dry biomes, savanna ecosystem and its boundaries with TRF. 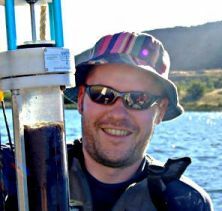 Christian's research focuses on the dynamics of long-term environmental changes, varved sediments and diatoms. Freek Busschers is a scientist and project manager at the Department of Geomodelling at TNO - Geological Survey of the Netherlands. 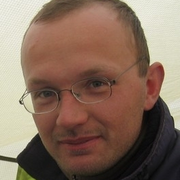 Freek ’s research mainly focusses on the development of the southern North Sea Basin during the Quaternary. Looking for fossils as a young boy during holidays in France initiated his interest in the prehistory from a very early age. Freek finished his PhD on the Middle and Late Pleistocene development of the Rhine-Meuse system at the Vrije Universiteit Amsterdam in 2008 and worked at TNO - Geological Survey of the Netherlands ever since. 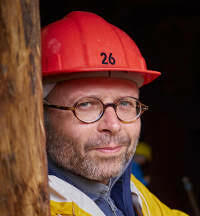 He currently works on the reconstruction and dating of the now buried southern North Sea Basin paleo landscapes by using the Survey’s extensive borehole and sediment provenance databases and by applying a range of dating techniques such as luminescence dating and biostratigraphy. Freek is an active INQUA member and regards the organisation essential for connecting different Quaternary groups and disciplines all over the world. 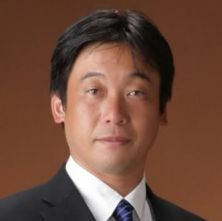 He was secretary of INQUA-SACCOM since the Nagoya congress in 2015. 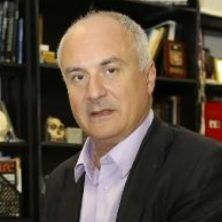 Brian Chase is a Director of Research with the Centre National de la Recherche Scientifque (CNRS) with training and interests in palaeoclimatology, palaeoecology and archaeology. 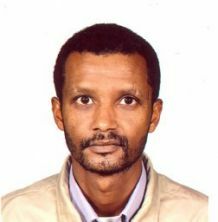 Working primarily in southern Africa, he is engaged in the development and evaluation of new palaeoenvironmental archives and proxies in arid to sub-humid environments and the study of low latitude climate change. 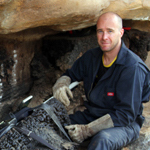 Having previously been involved in the study and dating of the region’s extensive dune fields, he now works on developing proxies and obtaining records from fossilised rock hyrax middens. 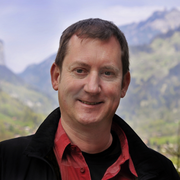 Using stable isotopes, fossil pollen and charcoal, and through the development of pdf-based botanical-climatological transfer functions, and comparisons with general circulation model simulations, Brian is working to reconstruct detailed synoptic scale patterns of past climate change and ascertain their impact on vegetation dynamics and human activity and evolution. 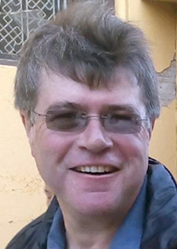 Brian is founder and steering committee director of the AFQUA (African Quaternary: Environments, Ecology and Humans), a steering committee member of the Southern Deserts research group, and the co-leader of Past Global Changes (PAGES) Africa2K Working Group. He is also a Immediate Past President of Southern African Society for Quaternary Research (SASQUA), and has been a member of the South African National Committee for INQUA and Vice President and an Advisory Board member for the INQUA Humans and Biosphere Commission (HABCOM). 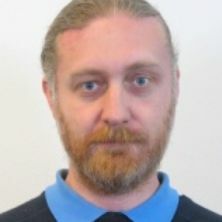 Brian is also a member of the INQUA Paleoclimate Commission (PALCOM) and the Paleoclimate Modelling Intercomparison Project III (PMIP3) Working Group, and serves on the Editorial Board of Quaternary International. Alastair is a coastal geomorphologist who studies the evolution of coastal environments during the late Quaternary in response to fluctuations in sea-level, changing climatic conditions, and the impact of tectonics. 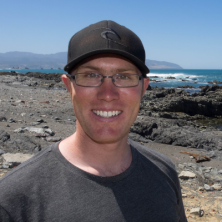 Alastair also studies the processes that drive variability in relative sea-level changes around the New Zealand coast during the late Quaternary . Michel is a senior research associate with the National Fund of Scientific Research, and professor at the Université catholique de Louvain. He has been working on climate dynamics and palaeoclimates since 1998, and specialised in modelling the dynamics of the climate system, with a focus on the ice ages phenomenon. 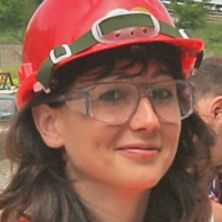 Julie Dabkowski currently works at the Laboratoire de Géographie Physique: environnements quaternaires et actuels (UMR 8591), French National Centre for Scientific Research. Julie does research on calcareous tufa deposits, to reconstruct climate and environments during past Interglacials and the Holocene. She develops a multidisciplinary approach combining her own expertise in tufa stratigraphy, micromorphology and geochemistry to bioproxy data from colleagues through various collaborations in France and Europe. 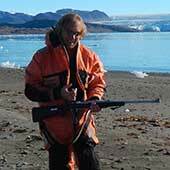 Dr Finkelstein has conducted research projects in the Canadian High Arctic (Victoria, Ellesmere, Baffin, Bylot and Prince of Wales Islands, and Melville and Boothia Peninsulas), the Hudson Bay Lowlands in Ontario’s Far North, as well as Barro Colorado Island in Panama, coastal wetlands of the lower Great Lakes, the Turkey Lakes Watershed and other sites in central Ontario. 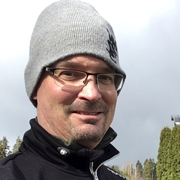 Dr Finkelstein is a Past President of Canadian Quaternary Association and serves as an associate editor for Wetlands, the journal of the Society of Wetland Scientists. She is also a member of American Geophysical Union, Canadian Association of Palynologists, PAGES Working Groups and the Society of Wetland Scientists. 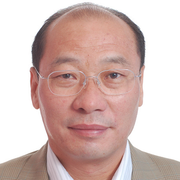 Zhengtang Guo is a research professor in the Institute of Geology and Geophysics, Chinese Academy of Sciences (IGG-CAS) and also a professor in the University of Chinese Academy of Sciences (UCAS). His research interests are centered on the Cenozoic/Quaternary Geology, ranging from Paleoclimatology, Paleopedology, Biogeochemistry and human-environment interactions. He has particular expertise in exploring the climate information from the Neogene-Quaternary eolian deposits in China across a wide range of time scales. He and his colleagues extended the near-continuous loess-soil records in China from 8 Ma (million years) to 22 Ma that attest to the formation of the monsoon-dominated climate and inland deserts in Asia by the early Miocene due to the uplift of the Himalayan-Tibetan complex. 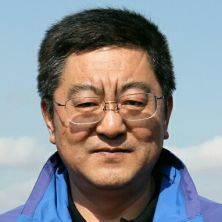 Zhengtang served as the vice-president of the INQUA Commission on Paleoclimates (1995-2003), as a member of PAGES Scientific Steering Committee (1996-2001) and as a co-leader of PAGES’ Australasian Pole-Equator-Pole (PEP-II) international project (1999-2002). He is now a vice-president of the China Association of Quaternary Research (CHIQUA), an editor of Global and Planetary Change, and a deputy editor-in-chief of Science China: Earth Science. He was elected as academician of Chinese Academy of Sciences in 2013. I am a Quaternary geologist and sedimentologist. A significant part of my research focusses on the reconstruction of the Holocene palaeoenvironmental evolution of coastal and fluvial plains and natural hazards. Present research activities include the understanding of regional as well as local driving forces (e.g. relative sea-level change, neo-tectonics, sediment budget…) of coastal change and the study of human impact on rivershifting and megafan development. Moreover, I am studying the sedimentary record of natural hazard events and in particularly tsunami. I have worked in the Middle East (Iraq, Iran), Asia (Japan, Thailand) and the Eastern Mediterranean region (Syria). I am a postdoctoral researcher in the Department of Archaeology, University of York, UK, soon to take up a Marie Curie Fellowship between York and Macquarie University, Australia. Trained in geoarchaeology at the University of Cambridge and Reading, I utilise geoarchaeological techniques from the site to landscape scale (soil micromorphology, sedimentology, geomorphology) to examine human-environment interactions during the Late Pleistocene, with a particular emphasis on the emergence and global spread of modern humans in presently arid and semi-arid environments. My research focuses mainly on the Middle East and North Africa, and most recently on the relationship between landscape evolution, lithic artefact distribution and hominin behaviour in southwestern Saudi Arabia. I also have strong research interests in reconstructing Quaternary sea level change, and its implications for examining the utilisation of coastlines by humans throughout history. Masami Izuho is an Associate Professor in the Faculty of Social Sciences and Humanities at Tokyo Metropolitan University. In 2011, he received the Quaternary Research Award of the Japan Association for Quaternary Research. He specializes in the lithic technologies and geoarchaeology of the Upper Paleolithic in Northeast Asia. He has worked in Russia, Mongolia, and Japan and is currently conducting archaeological and geoarchaeological investigations at the Shimaki site in Hokkaido, which is yielding chipped stone technology dating to the Last Glacial Maximum. Masami has also worked on the problem of Quaternary megafaunal extinction in Japan, attempting to understanding human-environment interaction in insular northeast Asia. 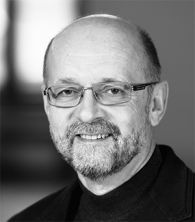 Atte is a professor of environmental change at the University of Helsinki as well as Vice-Dean of Societal Interaction of the Faculty of Biological and Environmental Sciences. His major research topics include climate change and its ecological and societal impacts, with particular reference to Holocene climatic and environmental changes, critical transitions, carbon cycling, black carbon particles, peatland dynamics and Arctic regions. Korhola has more than 120 publications in international peer-reviewed journals on these topics and belongs to the Editorial Boards of Journal of Paleolimnology and Quaternary International. 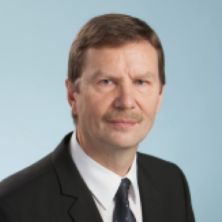 He is a Board member of the Environment Programme of the European Academies Science Advisory Council (EASAC) and the Helsinki Institute of Sustainability Science (HELSUS). He is also Fellow of the Finnish Business and Policy Forum (EVA) and has acted as consultant and adviser for several companies/enterprises on climate matters. Korhola is actively involved in the public debate on climate change and its policy options. 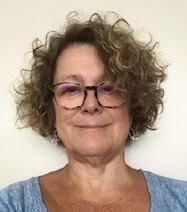 Daniela Kröhling is Senior Researcher of CONICET (National Research Council) and Professor at Universidad Nacional del Litoral (UNL), Santa Fe, Argentina. She is a Doctor in Geological Sciences, with a broad interest in Quaternary geology, stratigraphy, sedimentology, geomorphology, neotectonics and palaeoclimatology. Main study regions are the Argentine Chaco-Pampa plain, the Paraná basaltic plateau in Southern Brazil and Northeastern Argentina and the Southern Puna (Altiplano) plateau in the Central Andes. 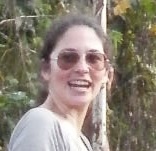 She is coordinating research projects focusing on the analysis of climate and tectonic influences on terrestrial processes of representative regions of South America during the Quaternary, the study of extreme wind events at the Puna plateau, the reconstruction of long-term landscape evolution of the Paraná Plateau and the Uruguay River Basin. Kröhling also works on the Holocene dynamics of large alluvial plains and of the Paraná River Delta. Amaelle is the Director of Research for the CNRS within the Laboratories des Sciences du Climate et de l'Environment. Her research interests comprise palaeoclimate, ice cores, stable isotope geochemistry, biogeochemical cycling and the hydrological cycle. Pete Langdon is a Professor of Quaternary Science within Geography & Environment at the University of Southampton, UK. He is primarily interested in palaeolimnology, specifically subfossil chironomids (non-biting midges). Beyond this specialism he has wide ranging interests, broadly focused around reconstructing climate change; geoarchaeology; lacustrine biogeochemical cycling; and biodiversity studies. 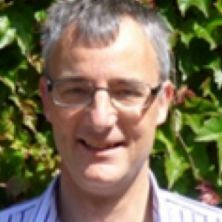 He currently works on a range of research projects including: biogeochemical interactions in Arctic lakes, with foci on the role of methane derived carbon within food-webs, and the impact of landscape change drivers on lake carbon and nitrogen cycling; better understanding of regime shifts (tipping points) in lake ecosystems, and comparing empirical data with modelling theory; and using a range of palaeoenvironmental techniques (insects, biomarkers, aDNA) to understand why and how the building of lake settlement islands (crannogs) fit into Celtic landscapes over the last 3000 years. He is currently working on lake ecosystems in every continent bar Antarctica. 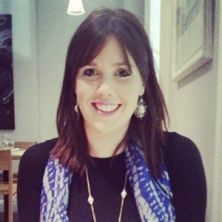 Rachael is a Postdoctoral Research Fellow within the Biogeochemistry Research Group at Plymouth University. Rachael is palaeoclimatogist and geochemist currently working on IODP material offshore Japan. After graduating at the University of Milan (Italy) in Natural Sciences (Botany), I worked as a contract scientist at the Archaeological Museum of Como and left the team in 1993 to start a PhD at the University of Cambridge. After finishing my PhD I took up a position as research fellow at the McDonald Institute for Archaeological Research, also teaching archaeology and human evolution at the Institute for Continuing Education (Madingly Hall) of the University of Cambridge. In 2004 I became affiliated lecturer in the Department of Archaeology and in 2005 director of studies in archaeology and anthropology at St. Edmund's College in the University of Cambridge. Since July 2005 I am ICREA research professor first at the IMF-CSIC and from 2014 at Universitat Pompeu Fabra. I currently coordinate the Complexity and Socio-Ecological Dynamics (CaSEs) research group and I teach in the UPF Master in Global History. My background is in archaeobotany and environmental archaeology, and I investigate the socio-ecological dynamics of past human populations from Mediterranean to tropical environments. My interests span from past vegetation histories, the modelling and simulation of processes in human behavioural change, people-plants co-evolutionary dynamics, long term trajectories of biodiversity and sustainability in prehistoric societies, and the origin and resilience of agriculture. Agriculture had an immense impact on humans and non-humans, and the future of our world is linked to making agriculture sustainable by maintaining biodiversity, revaluating traditional knowledge and mitigating environmental impact. Key areas for my work are South and West Asia, and South America. Jennifer Marlon is an Associate Research Scientist at Yale’s School of Forestry and Environmental Studies and the Yale Program on Climate Change Communication (YPCCC). Jennifer uses surveys, experiments, modeling, and other methods to study people’s perceptions of and responses to environmental change, particularly relating to climate and extreme weather events. Jennifer also conducts research in paleoecology and paleoclimate using sediment records. 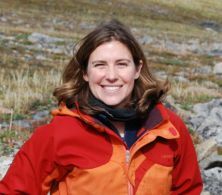 She developed a Global Charcoal Database that houses hundreds of sediment records from lakes, soils, and oceans around the world.The dataset has been used to understand the response of fire regimes to abrupt climate changes, the role of fire in the expansion of agriculture during the Holocene, and human impacts on fire during the Industrial Era. He is Professor of Geology at Università dell’Insubria, Como, Italy, with ca. 30 years of experience in Paleoseismology and Active Tectonics. Most of his research is focused on the reconstruction of the recent landscape evolution in order to define geological criteria for assessing natural hazards, in particular, seismicity. This includes the application of paleoseismological analyses, the integration of historical and instrumental seismicity data with observations from Quaternary, dominantly Holocene, stratigraphy, geomorphology and tectonics, to understand the styles and rates of ongoing crustal deformation, their interaction with climatically-controlled surface processes and, with that information, define the seismic potential at both local and regional scales. This research ranges from laboratory analysis of airphoto coverages and topographic imagery, to field mapping of recent landforms and deposits, to geomorphic reconstruction of slip rates and paleoearthquake histories of capable faults, also through detailed studies of trench exposures showing evidence for Holocene earthquake surface faulting. Of particular interest for this research is also the study of earthquake ground effects and their use in the macroseismic intensity scales. 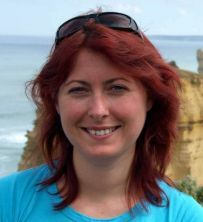 Dr Keely Mills is a palaeolimnologist based at the British Geological Survey and is a Geographer and Quaternary scientist by training. Her research focuses on environmental and climate change, particularly on understanding the effects of human impacts on freshwater and estuarine ecosystems, using a palaeoecological approach to define baseline conditions. She has a particular interest in understanding how resilient lake ecosystems are to future climate and environmental changes, which is crucial for vulnerable but ecologically important freshwater resources, especially those under increasing pressure from human activity, pollution and modification. 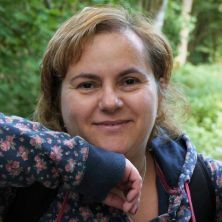 Dr Encarni Montoya is a Beatriu de Pinos (Marie Curie Cofund Fellow) postdoctoral researcher based at the Earth Sciences Institute "Jaume Almera" (CSIC-ICTJA) in Barcelona, Spain. Previously, she has been a NERC Fellow at the Open University (UK), and worked at The Botanical Institute of Barcelona (CSIC-ICUB) and the Autonomous University of Barcelona. She is a palaeoecologist mainly focused on Late Glacial environmental change in the Neotropics. Her main interests are related to the vegetation shifts produced by climatic changes and human occupation. For this purpose, she mainly uses pollen, microscopic charcoal and non-pollen palynomorphs analyses (complemented with other palaeoecological proxies, biogeography, archaeology and anthropology data among others). Moreover, she is interested in the usefulness of paleoecological data to learn about traditional ecosystem services, and improve conservation strategies, landscape management and projected scenarios for climate change. Lewis's research and teaching focuses on understanding the nature and dynamics of Quaternary paleoenvironmental change and landscape evolution, environmental geology and natural hazards along active plate margins. Lewis has concentrated his efforts on two major geologic-geographic regions: 1) the Himalayan-Tibetan orogen; and 2) the western Cordilleras of North and South America. This is because these regions provide some of the best natural laboratories for understanding the dynamics of geomorphic, tectonic and climatic processes, and ultimately they provide analogs for understanding the evolution of many ancient plate boundaries. Lewis has also undertaken research in other regions, including the American Midwest, Egypt, Venezuela, Morocco, Trinidad, Thailand, Yemen, Azerbaijan and the United Kingdom. 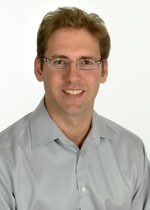 Dr. Peros received his Ph.D. in geography from the University of Toronto, his M.Sc. from York University (also in geography), and his B.Sc. in archaeological sciences and geography from the University of Toronto. His graduate work focused on environmental change and prehistoric human adaptations in Cuba. Following the completion of his Ph.D., Dr. Peros moved to the Laboratory for Paleoclimatology and Climatology at the University of Ottawa, where he researched arctic climate change under the direction of Dr. Konrad Gajewski. Dr. Peros’s current research involves studying the history of hurricane impacts in the Caribbean, and prehistoric environmental-human interactions in North America. He also serves as Vice-President of the Canadian Quaternary Association (CANQUA) and he is the Director of the graduate-level Micro-program in Climate Change at Bishop’s University. 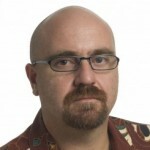 Dr. Peros is a broadly trained physical geographer working at the interface between the climatological, ecological, and archaeological sciences. His research seeks to answer fundamental questions within two broad areas: (1) what have been the driving forces behind climate and landscape change during the Late Quaternary? and (2), how has the natural environment constrained/provided opportunities for cultural and biological change? To address questions in these areas, he uses a field- and laboratory-based approach, integrating information derived from geological (e.g., sedimentological, geochemical) and paleoecological (e.g., palynological) investigations with archaeological data. At present, his regional specializations include eastern Canada, the Caribbean, and northeastern China. Since 2002 Lilia has been working at Kyiv National Taras Shevchenko University: a Junior Research Fellow at the laboratory of physical-chemical studies of rocks SRD Geological Faculty, then (2005-20013) Research Fellow at the laboratory of mineralogical and geochemical studies, faculty of Geology, Assistant lecturer of the Department of General and Historical Geology (since 2008), Senior Research Fellow at the laboratory of mineralogical and geochemical studies (since 2014). Erick is an archaeologist specializing in geochronology, palaeodemography, lithic technology and subsistence intensification in the western US and Europe. His research focuses on human adaptations to palaeoenvironmental change and the development of socio-economic complexity in hunter-gatherer and early farming societies. He has ongoing field projects in Utah and Wyoming, and is currently conducting comparative research on late Holocene demographic collapses between North and South America. 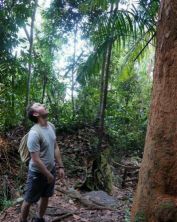 Alistair is a (palaeo)-ecologist, studying ecological responses to environmental change across a range of timescales. Lyudmila's main scientific interest lies in exploring microscopic biological remains in all kinds of the sediment all over the world for reconstruction of environmental settings, vegetation changes and climate dynamic in the past. 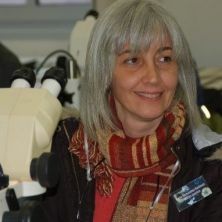 Coming to palaeoecology from neoecology, she likes to establish connections between extant and fossil taxa and discover their values as palaeoecological indicators. 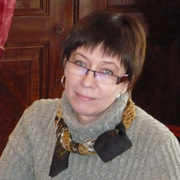 In Quaternary palaeoecology, Lyudmila especially focuses on the Holocene dynamic of the forest-steppe ecotone working in Ukraine, southern Russia, Urals, Siberia, Mongolia, Caucasus, Iran and Turkey. 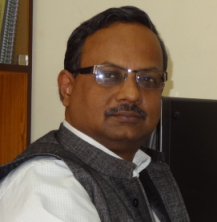 Ashok Kumar Singhvi is currently working as a Honorary Professor and J.C. Bose National Fellow at the Physical Research Laboratory (Department of Space, Govt. of India), Ahmedabad, India. A physicist by training, he has close to four decades of experience in Quaternary Geochronology and Paleoclimatology. He is known for his fundamental work on luminescence dating of Desert Sands and has provided event chronologies for most deserts of the world. He suggested that different deserts responded differently and episodically, to same climate forcing. This implied the need for changes in conventional concepts. He has also worked on global dust sequences and demonstrated their episodic accretion to suggest fundamental difficulties in their correlation with marine and ice core records. He developed luminescence dating of pedogenic carbonates, fulgurites, carbonate, gypsum and volcanic ashes and has contributed extensively to the methodological development of this technique. 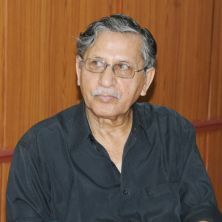 He has contributed over 170 papers in peer reviewed journals, several book chapters and edited about 16 special issues of journals. Singhvi has worked on the executive committee of the International Geosphere-Biosphere Programs's - PAGES (Past Global Changes) core project; Science Program Committee of the UN- International Year of Earth and was the co-leader of two International Geological Correlation Programs IGCP-349 on Desert Margins and Paleomonsoons and IGC-413 on Past and Future Evolution of Deserts. 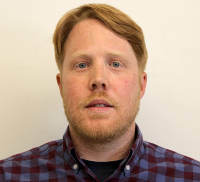 He is on the Editorial Boards of Quaternary Research (Associate Editor), Quaternary Science Reviews, J. Quaternary Science, The Holocene, Ancient TL, J. Earth Environment Mediterranean Archeology and Archeometry, Episodes and is a Member of the Senior Adv. Panel of Springer Encyclopedia of Quaternary Science. Singhvi is a Fellow of Indian National Science Academy, The Third World Academy of Sciences and is a Life time Honorary Fellow of the Geological Societies of London and India. 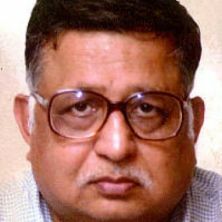 He was the Chair Indian Committee for IUGS and INQUA and Chairs, Indian Ministry of Earth Sciences' funding committees for Geosciences and for Paleoclimates. Singhvi has been a recipient of several recognitions'/awards, including the Geological Society of America's Farouk El Baz Award for Desert Sciences. Rajiv's research interests comprise: river science - river morphology and dynamics, flood hazards, morphology-ecology linkages; remote sensing and GIS applications; and climate change and palaeoclimate reconstructions. 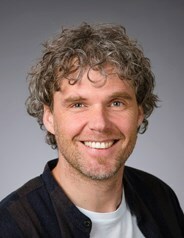 Thijs van Kolfschoten studied Geology and Biology and obtained his PhD in Palaeontology at the Institute of Earth Sciences, University of Utrecht (The Netherlands). After a research position at the Institute of Palaeontology, University of Bonn (Germany) he moved to Leiden University (The Netherlands) where he is working as Professor in Palaeozoology and Quaternary Biostratigraphy at the Faculty of Archaeology. His main fields of interest are Quaternary mammals, biostratigraphy, palaeoecology and taphonomy. His palaeontological research focuses on continental deposits with an age that ranges from the Early Pleistocene until the early Holocene. A major research project is the study of the mammalian vertebrate fossils from a sequence exposed at Schöningen (Germany); a sequence that plays an important role in the debate on the late Middle Pleistocene climatic and faunal history. The Palaeolithic sites of Schöningen yielded a large amount of mammalian remains with features that indicate exploitation by Lower Palaeolithic hominins. The study of these features is also part of the current research project. During the past decade, changes in Late Pleistocene and early Holocene ecosystems in Europe north of the Alps have been investigated in close collaboration with Russian colleagues; past projects are: The evolution of the mammalian fauna and flora in Western, Central and Eastern Europe during the Pleistocene – Holocene transition (25 - 10 kyr B.P.) combining well-dated flora and fauna data and The Collapse of the Mammoth Steppe ecosystem (COMSEC) investigating the disintegration of the Mammoth Steppe ecosystem at the level of faunal assemblages as well as at species level. Currently, studies on the Late Pleistocene faunal evolution focus on eastern Siberia. Thijs was President of the INQUA Subcommission (now Section) on European Stratigraphy (SEQS) from 1995 to 2003, and he was President of INQUA Netherlands from 1999 to 2008 when he was the national Delegate representative at the INQUA International Council meetings in Durham (1999), Reno (2003) and Cairns (2007). He has been regional Editor (Europe) of Quaternary International from 2003 to 2015. In addition, he has been a member of SACCOM from 2003 to present, and Secretary of SACCOM from 2011 to 2015. He was member of the steering-committee of APEX (Arctic Palaeoclimate and its Extremes), which forms an umbrella programme for European Arctic palaeoclimate research. 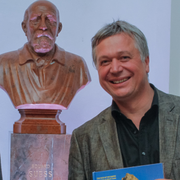 He was secretary of the IUGS Subcommission on Quaternary Stratigraphy, member of the scientific advisory board of Senckenberg Research Institute (Frankfurt, Germany) and the Centre of Archaeological Sciences (Leuven, Belgium). Currently, Thijs van Kolfschoten is the director of a well-equipped laboratory for palaeozoological and archaeozoological studies at the Faculty of Archaeology, Leiden University and head of the Bioarchaeology Research Group. 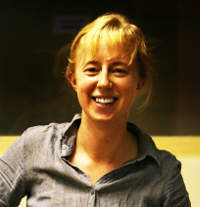 She is a palaeoecologist and environmental archaeologist with a broad interest in late Quaternary environmental change. Her specialist expertise lies in the analysis of sub-fossil beetles in a variety of palaeoenvironments. 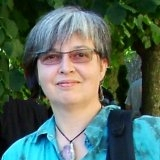 Much of her work has been concerned with human-environment interactions in the early–mid Holocene, and associated long term biodiversity change, late glacial climate change, early Holocene landscape structure in response to natural and human-induced change, and the transition to agriculture in the Neolithic. 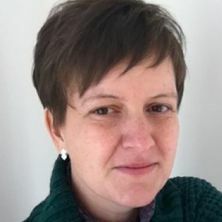 Jessie Woodbridge is Post-Doctoral Research Fellow on the "Changing the face of the Mediterranean" project at Plymouth University (UK) (School of Geography, Earth and Environmental Sciences), and previously worked on the Deforesting Europe project also at Plymouth. This research aims to reconstruct changes in European land cover over Holocene timescales using pollen data. 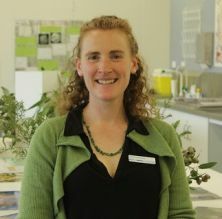 Jessie's research background is focused on reconstruction of Holocene palaeoenvironmental change using palaeoecological techniques based on peat and lake-sediment archives. She completed her PhD in 2009 and since this time has been prolific in publishing in various journals, such as Quaternary Science Reviews, Journal of Biogeography, and Journal of Palaeolimnology. 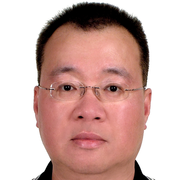 Dr. Chenxi Xu is a dendrochronologist based on Institute of Geology and Geophysics, Chinese Academy of Sciences. His research focuses on tree ring and global changes using stable isotopes in tree ring to reconstruct high-resolution climate history in subtropical and tropical areas. He has a particular interest in monsoon changes on inter-annual to centennial time scales.